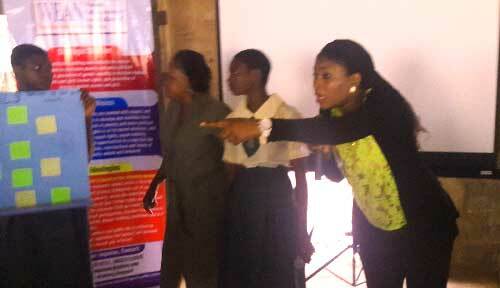 Safeguarding the Nigerian Child Public sensitization by NYSC corp and Saffron SDGF at Agege Pen Cinema. 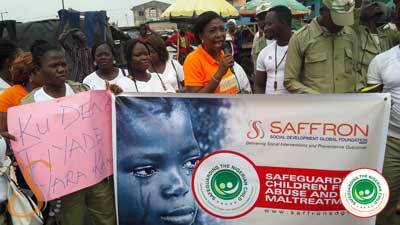 Saffron in collaboration with youth corp members from Agege Local Government organised a safeguarding and child protection awareness/ publicity programme for their community development service(CDS) on Thursday 15th August, 2016. Together with these youths went round Agege Market to inform, educate and sensitize the public on Safeguarding and child protection. Flyers with our contact address and phone numbers were distributed to the public; they were also encouraged to seek help when necessary and report cases of child abuse/ molestation. We stopped at vantage points to speak to them in different local languages for effective communication. We got positive responses and it was a successful outing. 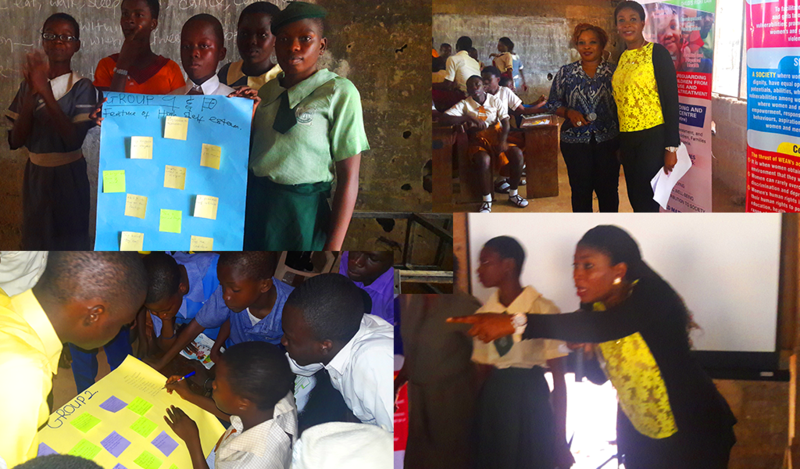 Mrs. Gbemisola Aduloju -: The Saffron SDGF team collaborated with WEAN to deliver an interactive session on self esteem, rights and responsibilities to summer camp students in Alimosho High School in August 2016. Activities such as group work, role playing and ice breakers were carried out with the use of resources: cardboards, paper stickers and markers to enhance their presentations. These activities were brilliantly executed which showed an evidence that learning took place. We had a successful outcome. SaffronSDGF ‘Safeguarding the Nigerian Child (SNC) Initiative congratulates His Excellency Governor Akinwunmi Ambode, of Lagos State for setting a precedence by issuing the Executive Order for the ‘Lagos State Safeguarding and Child Protection Programme’!! This policy now makes it mandatory for all ministries, departments and agencies, including schools and the police, to develop and adopt a ‘Child Focused Agenda’ in implementing the ‘Safeguarding and Child Protection Policy. 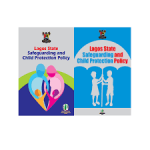 As a member of the Lagos State Sub-Committee for Child Protection and Children’s Rights, SaffronSDGF advocated that the ‘Safeguarding Agenda’ be enshrined in the newly completed ‘Safeguarding and Child Protection Policy’ for the state.